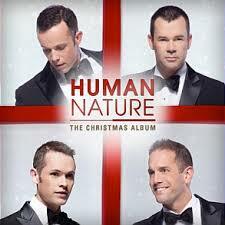 Human Nature have just released a Christmas album, which sounds great! I especially love their arrangement of Amazing Grace (which they recently performed live at the Sydney Schools Spectacular). You can look up the new album on iTunes here. This entry was posted in Glorifying God, Pure Grace, Thankyou for the Music and tagged Amazing Grace, blessings, Christmas. Bookmark the permalink. ← What the “Twelve Days of Christmas” gifts will cost you. . .